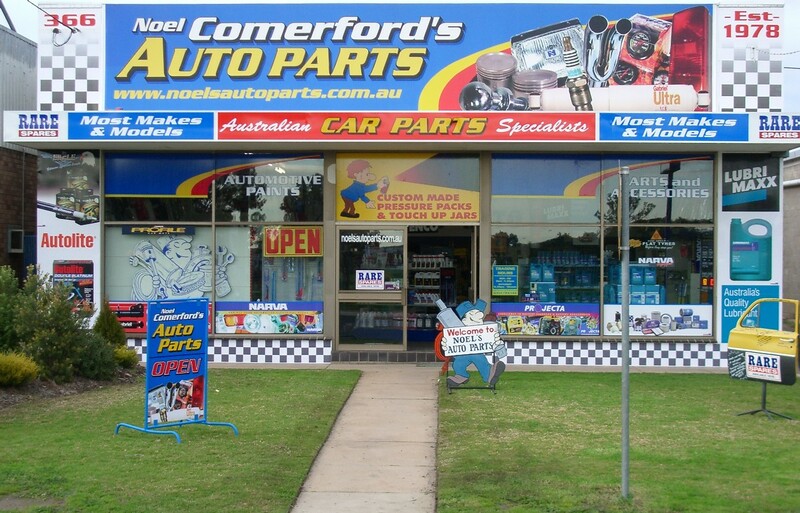 In 2005 Noel Comerford’s Auto Parts, Paint and Accessories decided that it was time to update it's shop front. The old signage had been around since around the late 1980's and the trendy foam lettering which was all the go in the 80's was a bit out dated. Keeping up with the latest in signage and with the help of local signmakers Riverina Signmakers we put our ideas together to come up with a new racey theme. The main sign is now made of a quality canvas material which is just rolled out. Below you can see the different stages of the new shop front. We would like to thank Riverina Signmakers for all their help to make the new shop front look as good as it does today! 25th Anniversary story also available to view.